Significantly changed for 1982 (there was no 1981 XJ-S), the Jaguar XJ-S received a substantially updated H.E. 5.3 liter/326 ci fuel injected V12 engine with higher compression, upping horsepower to 263 bhp and increasing efficiency. The other end of the powertrain remained a three-speed automatic transmission sourced from General Motors. Performance was quite respectable for the almost 4,000-pound coupe: 0-60 in about 8.0 seconds. Despite the efficiency upgrades, mileage remained what you might expect from a V12—14 city/22 highway by the standards of the day (13/20 by today’s standards). 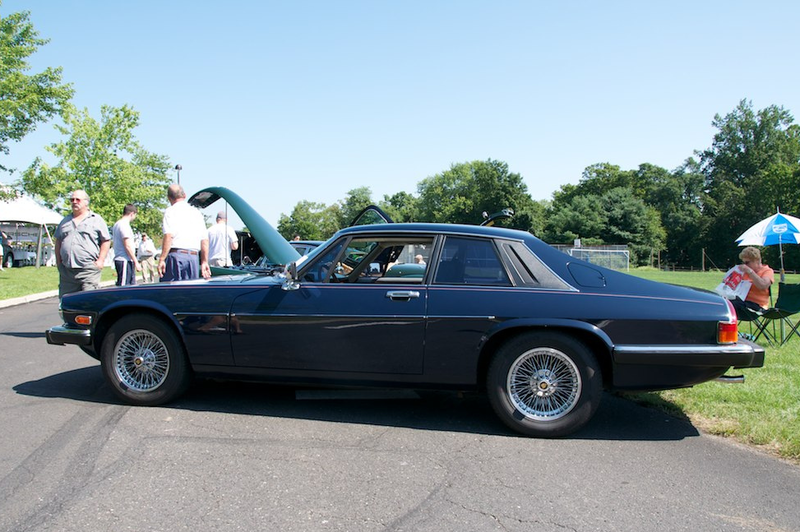 With its flying buttresses in the rear, the basic XJ-S exterior design from 1976 was nothing if not distinctive. Standard equipment included power steering and four-wheel power disk brakes. 15-inch aluminum wheels were paired with Pirelli 215/70VR15 tires. Inside, the buyer received air conditioning with automatic temperature control, leather seats, power windows, power mirrors, intermittent windshield wipers, cruise control, and an AM/FM stereo cassette with Dolby and metal tape capability. Burl elm on the dashboard and door panels was a new addition to the still somewhat cramped interior for 1982. There were no options—probably a good idea in a car that used a six-year-old design and cost $32,100 (about $78,600 in today’s dollars). The approximately 3,100 buyers for the 1982 model year picked their exterior color, and that was it. The Jaguar XJ-S has good club support, and there are some restoration parts available. There’s also a free 738 page (!) ebook written by an XJ-S H.E. owner named Kirby Palm available with much hard-earned advice. Keeping an XJ-S at 100% is non-trivial—as it is with so many high-end eighties cars. Current discussions in the XJ-S portion of the Jag-lovers forums are replete with transmission issues, brake system replacements, gas tank challenges, and ECU problems. Many examples are available in the Hemmings Motor News classifieds. As I write this in March 2014, a black 1984 XJ-S with 80,000 miles is for sale for $11,000. Make mine Racing Green Metallic, please.